So ja, I’m not really a natural beauty blogger, I fall more into the “where to eat, drink & have a general good time” category. 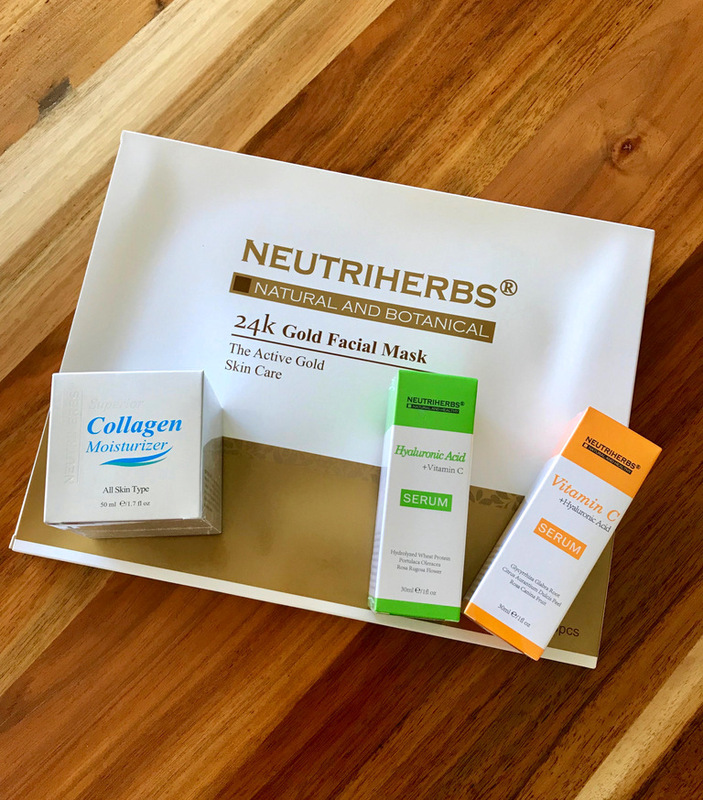 😉 But a friend of mine was working for this natural skincare range called Neutriherbs a couple of months back and asked me to give it a try and then share my thoughts with you guys because of how impressed she was with the range. Lia, upon realising that I had missed out on one of her personal favourites, decided to also throw in the Hyaluronic Acid Serum. The products arrived just before my big 9 1/2 week Europe trip which kicked off on the 22nd of May (if you’ve been following me on Instagram, you’ll know all about it, if not – don’t worry, I will still be blogging about it & sharing as much travel tips as I can). So I packed them into my suitcase and got to test drive them while on the move. The brand entered the market back in 2011 as a European brand, but today is sold in over 50 countries. Here in South Africa, Neutriherbs has been available since 2016. Unfortunately the Superior Collagen Moisturiser has since been discontinued in favour of a new Retinol Cream (recommended retail price: R299), so I’m not going to focus on it too much. What I can say is that I liked the texture and I did find it quite moisturising without it feeling heavy or oily. I didn’t really notice any difference with regards to my fine lines though. 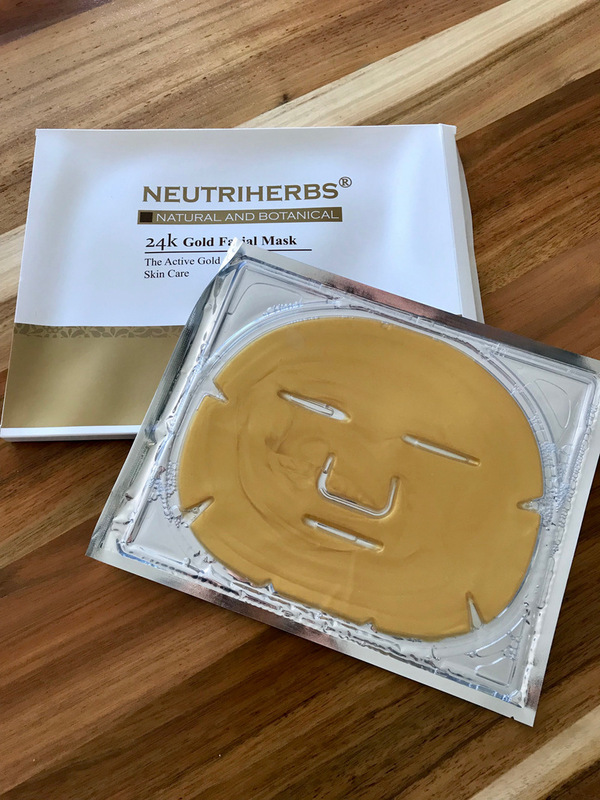 The 24K Gold Eye Mask (recommended retail price: R229) was an interesting one… I didn’t like the rubber-like feel of this sheet mask (then again, I prefer a good ol’ fashioned mask that you spread on & am not the biggest fan of sheet masks in general), I’m also not completely sold on this hole “nano gold” thing that’s taken the beauty industry by storm, but this baby did save my life when I made the mistake of buying a different 1% Retinol Serum to the one I normally use to take along on my trip (1% is the highest Retinol concentration you can buy over the counter btw)… The result? I woke up after using it for the first time looking like a bloody raisin. (1% Retinol Serums are something your skin has to get used to, so this really was all my own fault. Picture lots and lots of tears though) Now this would’ve been kinda manageable at home where I could hide out in a dark room all day, but while travelling and having to face the world, it was not so easy. I applied this baby and my skin instantly felt & looked a whole lot better… and for that I will be forever grateful. I ended up using all 3 masks (there’s 3 in a box) during my trip. I found myself reaching for them whenever I had overdone it on the vino & felt like my skin needed a bit of a boost. Then we have the two serums… Of the two, I actually found myself reaching for Lia’s little throw-in (the Hyaluronic Acid Serum) more than the Vitamin C Serum I had selected. I found the Hyaluronic Acid Serum to be more soothing & moisturising than the Vitamin C Serum, and after my whole raisin face scare, I decided that this was probably what my skin was needing more at the time. If you look at the descriptions for these two serums, they do say that the HA Serum aims to “plump & hydrate” where the Vitamin C serum aims to “fade sun spots, reduce discolouration, as well as refine skin texture”. So that backs up what I was experiencing when I was using them. At the time I needed hydration, so the HA was perfect. Now that I’m back in SA and my skin’s settled again, I’m going to start giving the Vitamin C serum more of a bash. Do yourself a favour and have a look through their full range of products over here. They have other lovely things, like different kinds of masks, aromatherapy oils, soaps, body shaping products & even an eyelash growth serum. Prices range from R160 up to R930, with most of their products sitting between R200 and R300. So really quite affordable. 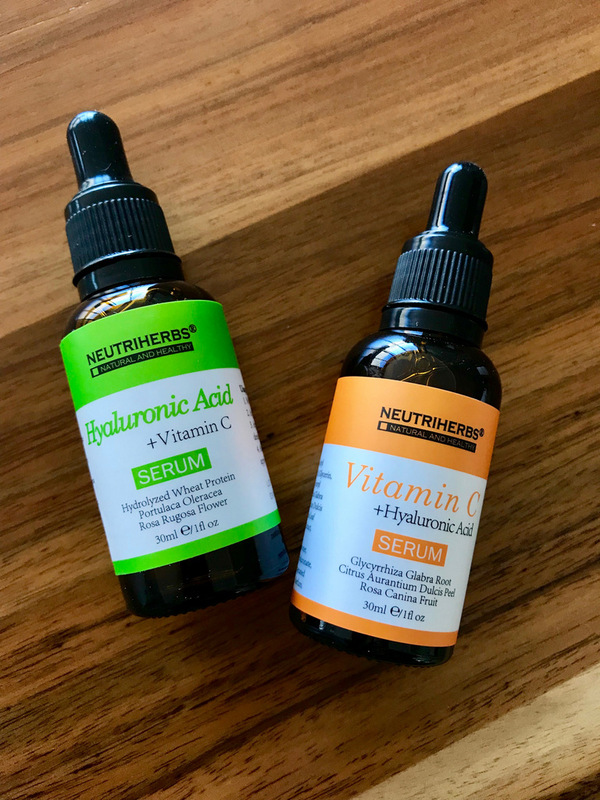 Interested in giving the Neutriherbs range a try for yourself? Then check out their “Where to buy?” list over here. You’ll also be happy to know that their products are available from Takealot.com as well. I’ve used their Coffee Body Scrub (loved!) and I’m currently trying their charcoal face soap. I’m not a fan of bar soaps for my face, but so far I’m not hating it.